Vesta Networks has been helping businesses and organizations across Canada and the US communicate better for over 14 years. We offer reliable service and support for all your teleconferencing and web conferencing needs. When you need us, real people respond. That's right. There are real people at our end that will respond without keeping you on hold and wading through layers of voice mail options. It's one of our biggest commitments to ensuring your complete satisfaction. Your company is unique – we'll find the perfect conferencing package for you. Our dedicated account managers can custom design a web and teleconferencing package for your organization. After you're up and running, we will be here to support your growing needs with a seamless service experience. Our 'Pay-As-You-Go' teleconferencing option helps you manage your budgets. It's a simple – and refreshing – concept. You'll never pay for more than you use. No contracts. Pay for the teleconferencing minutes you use and nothing more. And, as a bonus, the first 300 minutes are free! Design your own billing solution – and keep your financial team happy. If your bookkeeper or accounting team has a specific request for invoicing structure, we're happy to help you keep them happy! Just let us know what you need and we'll customize the invoice to deliver. Need to move quickly? Our 30 minute set up commitment gets you set up in time. We can have you set up within 30 minutes from the time you send us an email for a free web conferencing demo or a free teleconferencing trial. That means you can be ready for that big meeting you need to hold later today. To us, size doesn't matter. Every one of our clients gets the same great service. Whether you need to set up a conference call for 2 people or 100+, we can help. Small companies get the same great service as our larger clients, every time. We understand the intricacies of different client needs – you'll feel confident in our hands. We serve businesses, universities, government and non-profit organizations of all sizes with services and tools that keep their teams talking. Every client gets personalized attention – with no detail overlooked. With over 14 years in the business, you can trust us when we say we know what we're doing. The Vesta Networks team has been making clients across Canada and the US happy for over 14 years. We are very clear that when we help clients solve their teleconferencing and web conferencing needs, we are contributing to their success. And, in return, happy clients grow our business. We'll help you achieve a successful conference call in minutes. We're different from the big telecoms – and proud of it. 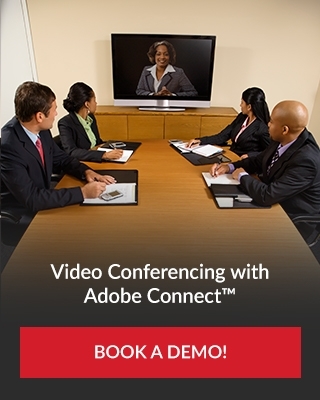 We invite you to test our services with a FREE teleconferencing trial or web conferencing demo. We'll get you set up and on your way fast!